It’s not just the Catholic Church or mainstream Christianity that are experiencing a growing exodus of young adults from their ranks. The Muslim faith also is contending with the challenge of remaining relevant to its younger members. Jenan Mohajir, Director of Student Leadership for Interfaith Youth Core in Chicago, spoke about that challenge as part of a panel presentation at a Saint Mary’s Press-sponsored symposium in January on the dynamics of disaffiliation in young Catholics from the Catholic Church. One response from within the Islamic community has been the emergence of “Third Spaces,” alternatives to the traditional American mosque. These Third Spaces often are noted for their practices of inclusivity and welcome, a strong social component, and an emphasis on relevance—especially to the lives of a young adult demographic. 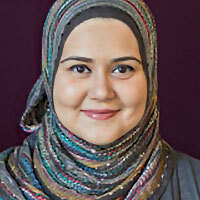 Jenan Mohajir talks about Third Spaces from Saint Mary’s Press on Vimeo. One 24-year-old, female survey respondent said that young people are particularly vulnerable to feelings of criticism or judgment that they may experience in a traditional mosque community. 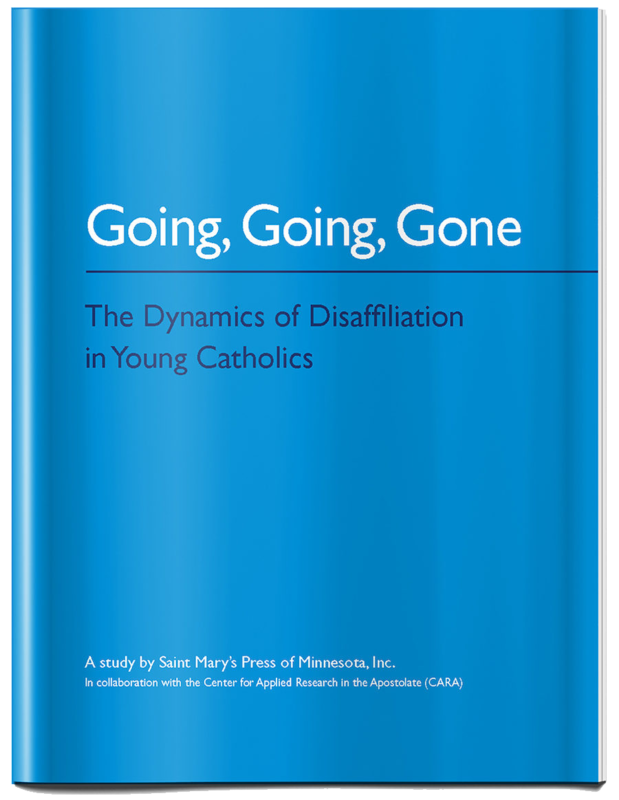 In the Saint Mary’s Press study on disaffiliation, a number of young former Catholics reported feeling similarly uncomfortable in traditional Catholic church settings. At MakeSpace, an atmosphere of nonjudgmental welcome pervades, the Muslim survey respondent said. What are the Third Spaces for young adult Catholics seeking an alternative to more traditional church settings? For those young adults who report feeling excluded, judged, irrelevant, or isolated in their home church or parish, are there spaces to gather outside church walls yet still within the larger Catholic community? Places where they can explore faith, experience community, find welcome, seek understanding, and share their stories? If you know of such spaces, we invite you to share them in comments to this blog, or email to j.ruff@catholicresearch.smp.org. This is pretty interesting, and I don’t want to discount the value of having a variety of venues within which young Catholics can find community and accompaniment as they journey in discipleship, but a crucial factor that seems to be missing here is the importance of the parish still being a “final” (causally, not necessarily temporally) landing spot. I don’t know if it’s healthy for our response to our parishes feeling “unwelcoming” to simply find new spaces to replace them. Why not, instead, help young adults in the process of changing the culture at their parish so that they DO become places of meaningful growth in faith? Running away from the parishes may work for other faiths or denominations, but the Eucharist seems to mandate that it doesn’t happen in Catholicism. I hear you, Justin. I guess my hope is that we work to make parishes more welcome — not just because we’re losing members, but because it’s part of our call — and also create third spaces for those who aren’t connecting with a parish now. As people deepen their spirituality in the third spaces, maybe they would consider returning to a parish? I don’t think that’s the goal of creating these spaces, but it could be a side effect. If people have others to attend church with, maybe they’d be more likely to go. I agree that plenty of Catholic YAs are “feeling excluded, judged, irrelevant, or isolated in their home church or parish,” and in response that that my community and I and some gifted lay leaders are creating a sort of “third space” in Cincinnati called God Space. Everyone is welcome, but many of us are Catholic or becoming Catholic or former Catholics, although there are other Christians too. We just started up, and we already have people connected with us. We are trying to create a space of welcome and a community of belonging, where, because people feel safe, they can really seek God and deepen their spirituality and connections with others. We have a community house where we meet for small group sharing and also spiritual direction and spirituality programs. We hope to offer more social and service things moving forward. It’s an important and exciting ministry, although, of course, I’m strongly biased in its favor! I’m shamelessly promoting it, but I’m also hoping for others’ ideas about the best ways to create these third spaces for Catholics. There are a lot of people really searching for God right now – how can we be present to each other in our searching (and our finding too)? A traditional organization like the Knights of Columbus can be a “third space” more than one might expect. It might be the only possible third space in rural and small town areas. I’ve seen a number of young men join who are not at Sunday Mass very often or actively participating in other parish activities. I know they are supposed to be “practicing” Catholics when they join, but it is a way for them to stay connected to the Catholic Faith and I see them participating in the KC social and service opportunities. It might be a man’s way of searching for God and finding meaning in life. The same could potentially be said of the Catholic Daughters of the Americas or other Catholic men and women’s organizations that already exist.